Tavistock Square was developed in the 1820s by the builder Thomas Cubitt on the estate owned by the Dukes of Bedford. The name derives from the courtesy title, Marquess of Tavistock, given to the eldest sons of the Dukes of Bedford. In 2005, it was the site of one of four suicide bombs, which exploded on a number 30 bus outside the British Medical Association on the east side of the square. 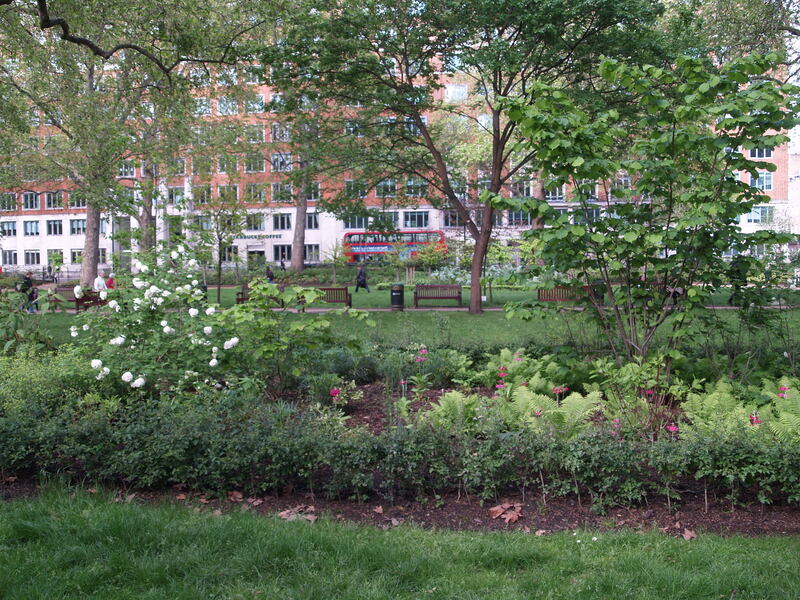 A memorial garden to the 7 July bombings is to be laid out in part of Tavistock Square garden and the BMA has commissioned a commemorative sundial. Tavistock Square is maintained by Camden Council and is open to the public during daylight hours.